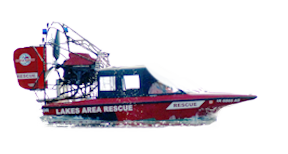 The Arnolds Park/Okoboji Fire and Rescue provides multiple life safety services to not only the residents and visitors of the cities of Arnolds Park and Okoboji but also to the residents and visitors who enjoy West and East Lake Okoboji. The Emergency Services Division of the department is currently certified at the Emergency Medical Technician-Intermediate level and has volunteers certified from the First Responder to the Paramedic Specialist level. The Water rescue division boast several Water Rescue Safety Swimmer certified members that are trained to respond with Personal Water Craft specially outfitted with stokes baskets to rapidly stabilize and remove accident victims from the water. The Dive Team division of the fire department has several open water certified divers that are also certified to the Dive Rescue I certification. Several of the divers also have additional certifications such as Dive Master and Ice Dive certifications. The Fire Suppression division of the fire department certifies its members at the Nationally recognized Firefighter I and II levels and encourages all member to continuously study fire science when the opportunity arises. The department also boast the county’s only fire suppression and water rescue boat. The boat a 27 foot Boston Whaler went into service in the spring of 2004. If you are interested in the volunteer opportunities with the Arnolds Park/Okoboji Fire and Rescue please contact us at 1-712-332-5260,Fire Chief Chris Yungbluth Email apofire@hotmail.com or stop in and see us at our next business meeting held the first Wednesday of every month at 7:00 PM.